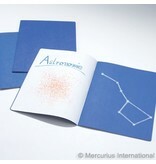 Astronomy Main Lesson Book. 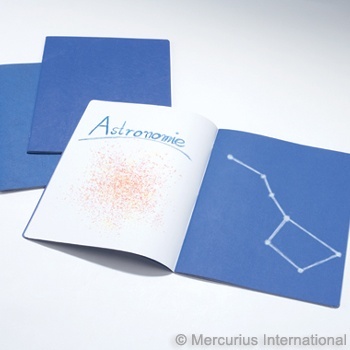 This book is designed for Grade 6 and 7 Astronomy Main Lesson in Waldorf Schools. It comes with dark blue pages that alternate between 150 gsm (40 lb.) and 120 gsm (31 lb.) drawing paper. The dark blue pages are ideal for yellow, gold, silver or white coloured pencil or pen drawings. 32 pages, portrait format, 24x32 cm (9.45x12.6 inch), 1x1(= 1 page dark blue, 1 page white), no onion skin.